What can you do when you have received an email with sensitive information that you want to share with someone else, but can't do that via email? The best way to get the content out of the email safely is to export email to PDF. PDF provides the most secure way to share content across the web and with the right tool you can export Outlook email to PDF or export Gmail emails to PDF, edit the PDF and send the confidential information in a format that is not easily edited. If you are wondering how to export Outlook emails to PDF, this article is here to act as guide. In fact, this article will share with you a great way to do that without compromising the content on the email. If you consider that having the right solution to export email as PDF in Outlook or any other email provider, can save you a lot of time, you want to pay attention to find out what our solution is. One of the best ways to convert emails from Gmail to PDF or any other email provider is to use iSkysoft PDF Editor 6 Professional for Mac (or iSkysoft PDF Editor 6 Professional for Windows). This PDF management program cuts the time it will take to export all outlook emails to PDF to a fraction, allowing you to spend less time on the technicality of document management and instead spend more time on the more important aspects of your business. The program is also very easily available and has PDF management features that make using it very easy. But before we get to the features that make iSkysoft PDF Editor 6 Pro the best tool for this job, lets first of all take a look at how the program works. The following simple steps will help you easily convert email to PDF using this program. To use this program to export Outlook emails to PDF, you'll first of all need to install the program to your computer. You can download a free trial version of the program from its official website. Next, open the email you want to export to PDF and then using your device's operating system or any other screenshot tool, take a snapshot of the Email. 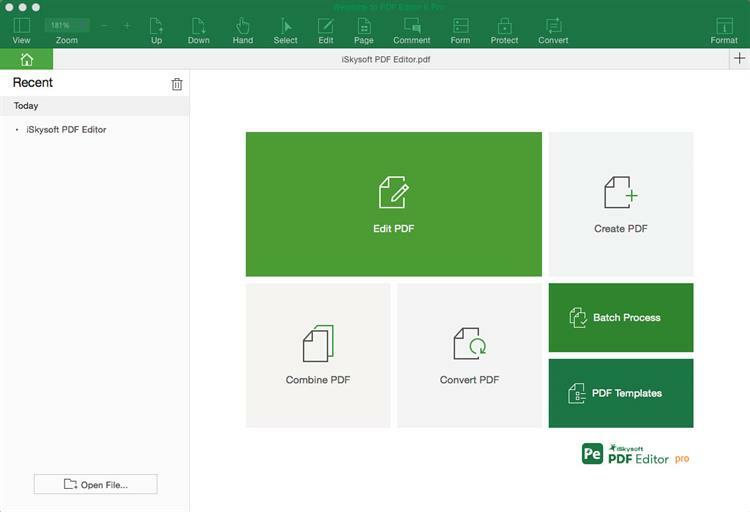 Now open iSkysoft PDF Editor 6 Pro and in the main window, click "Create PDF" and then select the image of the email you have created. This will open the image as a PDF in iSkysoft PDF Editor. You can then simply save the newly created PDF by clicking on "File > Save As" and have a PDF copy of the email. The most important aspects of iSkysoft PDF Editor 6 Professional for Mac (or iSkysoft PDF Editor 6 Professional for Windows)is the fact that it makes exporting email to PDF a very simple process. Its interface is easy to navigate, meaning that you will not be spending too much time learning how to use the program. But that is not it's only advantage. Like we mentioned before, this program is a complete PDF management tool. That means that it must have all the features a regular PDF document user would find very useful. It is the ideal PDF creation software for the simple reason that it can create PDFs from any format. 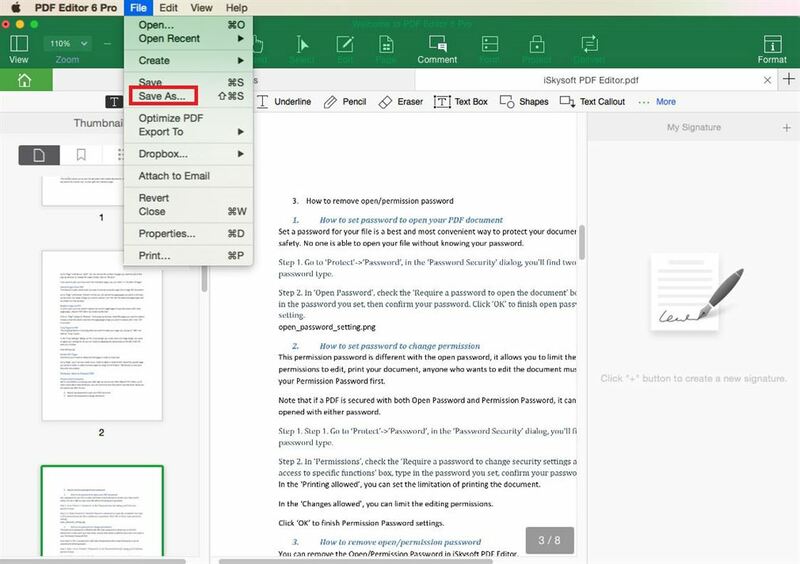 You can have a word document, open it in iSkysoft PDF Editor and it is automatically converted to PDF. It also has powerful PDF editing features that include the ability to edit the text on the document by adding and removing text, changing the font color and size of the text and even editing the images on the document. You can also use it to protect the document by adding a password, redacting some of the text on the document and even adding a watermark to a document. It has an OCR feature that will help you detect a scanned or image-rich PDF and easily render it for editing. It can also be used to annotate a PDF document in a number of ways including highlighting and underlining text, adding custom stamps and comments among others. Microsoft OneNote is a great way to keep track of your to-do lists or take notes on a particular subject. Which is why it is not surprising that this productivity tool can also come in a handy as way to manage your email. You can copy and paste emails into OneNote to convert them to various formats and PDF is no exception. Step 1. Begin by copying the content of the email into a balk OneNote Page. Step 2. Now click on "File > Export" to begin the process. Step 3. 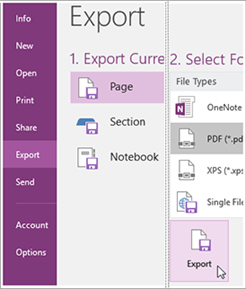 Under "Export Current" you can choose to export the page, section or Notebook depending on the part of the content you want to convert to PDF. Step 4. Now choose "PDF" as the export format before clicking "Export". Step 5. Choose the file path you want to save the created PDF file to and then name the file. Click "Save" when you're done. OneNote may be able to give you a great option to convert emails to PDF but it lacks some features that give you control over the conversion process. For example, you may not be able to edit the PDF document once it has been created unless you were to import it into a PDF editing program which can be a hassle. Also, before you export the email to PDF, you may need to copy it into OneNote which may not be ideal when you have too many emails to convert to PDF. The good news is iSkysoft PDF Editor eliminates all of these problems, making the export of email to PDF quick and easy.